Hello lovelies! Another late night post I’m afraid. Had a really productive day though. Managed to print out all of my final images for my portfolio, get some of my sketchbook done, write a post for Style Clone and even walk Toby in the sunshine! Here’s what I wore today. 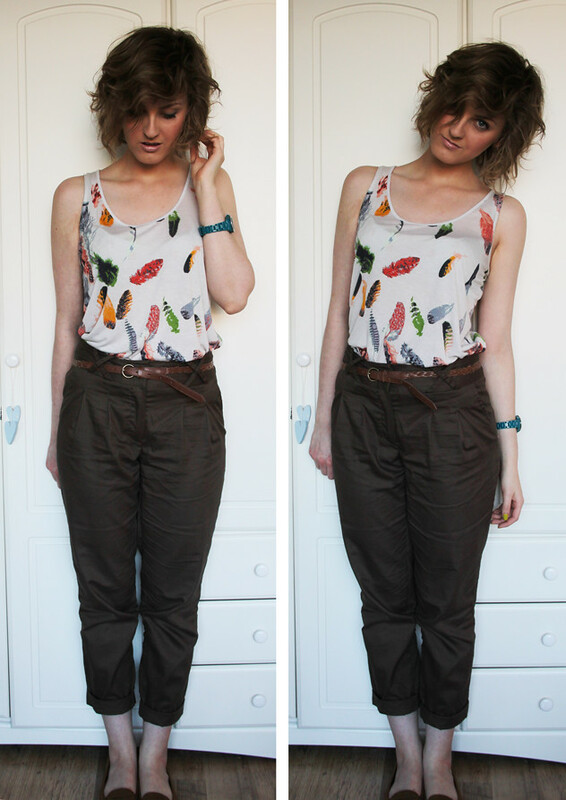 The top and trousers are from yesterday’s haul. I think they go really nicely together to make a super comfy outfit. Also been wearing my hair curly again for the past couple of days. I’m not too sure on it at the minute. Sometimes I think it makes me a look a little scruffy, but it actually looks alright in these photos! That’s all from me tonight. I’m off to bed ready for another busy day tomorrow. More uni work to do and a shift at work in the afternoon, then pizza accompanied by rubbish TV programmes in the evening with Dan! Enjoy your weekend, whatever you’re getting up to. I ADORE this outfit 🙂 The mix of colours and print is fab and I LOVE your hair! Rubbish TV and takeaway is literally the best way to spend Saturday evening! I Like your hair curly it looks nice and summery. The out fit looks good too. I think your hair looks lovely curly! 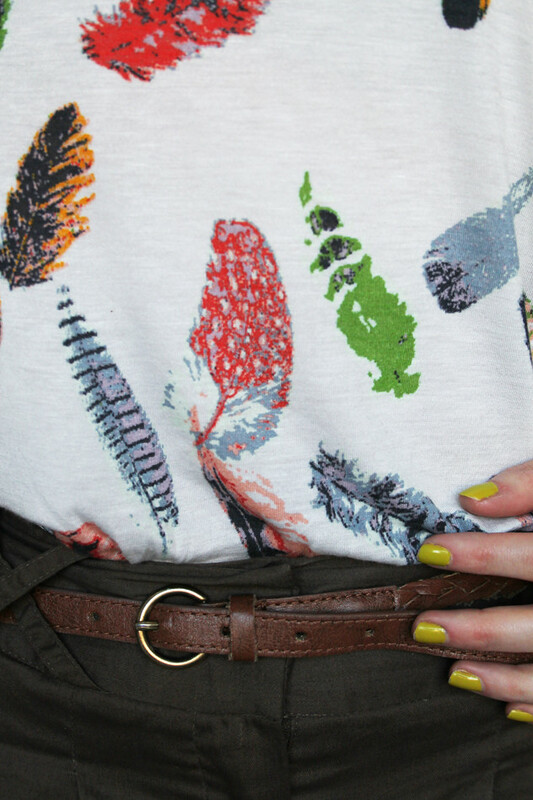 Love the top even more now I have seen it on!